Linda Tahan-Stein believes in delivering hair services that go above and beyond for her clients. Focusing on delivering what each person wants, Linda addresses anything that is keeping you from feeling beautiful. 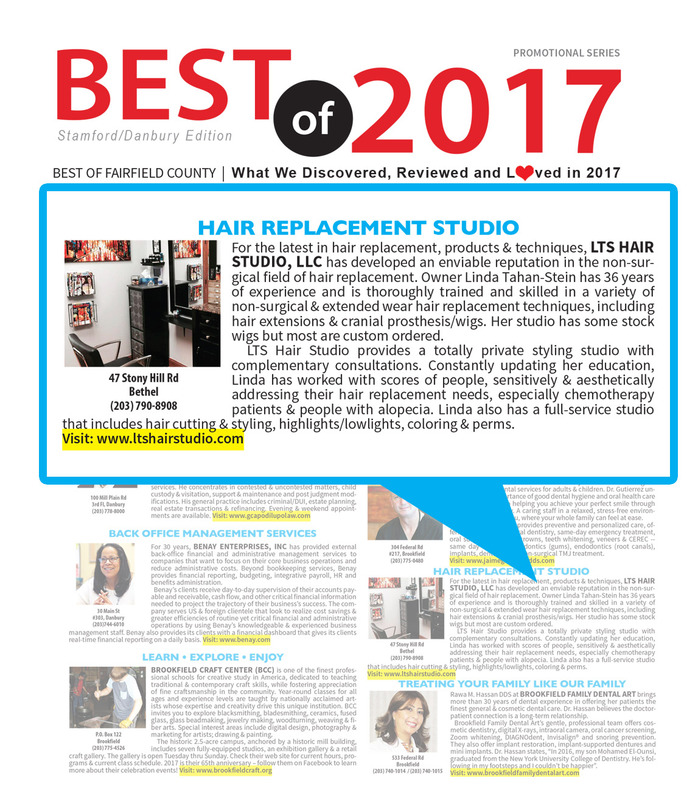 From a simple new hairstyle to a modest haircut to extending the length of your short hair to coloring, every one of Linda’s services gets her complete attention. Her commitment to excellence and love for the job is evident in the words of our lovely and gorgeous customers! Linda LOVES what her customers have to say! I have been going to Linda for many years now and I have to say I have never trusted anyone more than her. She is an incredibly talented stylist and is a warm kind and caring person. She is not only my stylist but over the years has become a very dear friend. Give her a call, you’ll be so happy you did. ~ D.M. LTS Hair Salon is the best. Linda changed my life and gave me back my confidence . The hair systems are amazing and absolutely no one knows that it’s not my own . Must go see Linda!! ~ C.S. I’m a longtime client of Linda’s and wouldn’t trust anyone else. She is a talented hair stylist but more importantly compassionate and sensitive to her clients needs. She’s the best! ~ C.T. I’ve been with Linda for many years. She is always very professional and punctual. She does a great job with my hair. ~ R.S. I have been with Linda for many months now and I must say she is one of the best! I absolutely adore her and love the results every time. ~ M.S. Linda has been my hairstylist and colorist for over ten years. She is not only an amazing stylist, but also an amazing person. I consider Linda to be a good friend. She always gives you the one on one attention that you need. I highly recommend her. ~ C.
Linda is very talented, whether it’s a cut, color, blow dry or hair systems, she always does a amazing job! She is also sensitive to her clients needs. I wouldn’t trust anyone else with my hair. I always feel like a million dollars when I leave her studio. ~ M.L.